Debra Brennan Tagg is President of Brennan Financial Services, a boutique wealth management firm. Debra is a CERTIFIED FINANCIAL PLANNER™ practitioner and the creator of the DBT360 Financial Plan, a proprietary program that helps her clients prioritize their goals, leverage their resources, and address their risks. Debra curates investment and insurance programs tailored to each of her clients as they seek to achieve retirement, education, and estate planning goals. Debra works with both individual and institutional clients, specializing in the unique challenges facing executive families and small business owners. As a community leader striving for permanent positive change in Dallas, Debra serves on the Board of the United Way of Metropolitan Dallas, previously as Community Impact Committee Chair. She helped to launch the GroundFloor at United Way, a mentor-driven social innovation fund that works to solve challenges in education, income, and health. Debra also serves on the Children’s Medical Center Board of Directors, Children’s Health Foundation Board Executive Committee, and Children’s Health Investment Committee. Debra serves on the Communities Foundation of Texas Board, and is a member of the CFT Relationship Committee. Previously, Debra served on the DCAC Board of Directors (Board Chair, 2010), the Dallas Children’s Advocacy Center Foundation Board, and the Dallas Mayor’s Task Force on Poverty. Debra is a nationally recognized speaker in the financial industry, addressing various financial conferences to educate both other financial advisors and investors of all types. For many years, Debra co-hosted Dollars and Sense, her firm's weekly radio program on WBAP-AM. Debra also produced and co-hosted the weekly television program, Smart Money Live with the Brennans, on WFAA-TV in 2006 and 2007. Debra serves on the FSC Securities Board, and the RIA Institute Advisory Board. She is also a member of the Financial Planning Association and the Financial Services Institute. 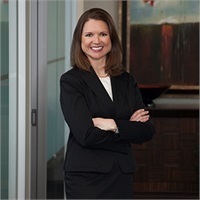 Debra has been a Dallas Business Journal Woman in Business nominee (2018), included in the D CEO Dallas 500 list (2018), recognized with the United Way of Metropolitan Dallas Innovator of the Year Award (2015), and honored as an Investment NewsCommunity Leadership Award Finalist (2013). The United Way of Metropolitan Dallas Innovator of the Year Award and the Investment News Community Leadership Award recognize contributions in volunteer service. The Dallas Business Journal Women in Business Honorees are selected by a panel of Women in Business alumni and other community leaders. Selection is based on proven leadership success in the honorees' business/industry, as well as community involvement. The D CEO Dallas Top 500 Business Leader award recipients are chosen by the editors of D CEO magazine and recognize local business leaders who contribute to the North Texas local economy. These awards are not a reflection of the recipient’s abilities as a financial advisor. Third-party rankings and recognitions are not a guarantee of future investment success and do not ensure that a client or prospective client will experience a higher level of performance or results. These ratings should not be construed as an endorsement of the advisor by any client nor are they representative of any one client’s evaluation.